But why not use the full -5.3V to +5.3V range? Aaaahhh! Your questions are always very smart! A while ago i made some micro-tuning tables for pitch and pitch bend (14bit/LSB-MSB) - some tunings might be possible with pitch only if i have a 12bit resolution. Thanks a lot! I got it. That's cool! A Base. Damn! ... full 12bit! Since you are playing live a lot - and the live-setup is a true obsession of mine - i've just entered the post-Laptop-age! It feels great: very quick, easy, small, compact, lightweight and no "open" cables or loud ventilation (my almost dead 17'Macbook). Now a MacMini does the job quietly inside the case. "On the road" i use it with a USB-monitor only. The iPad, keyboard and 4 pedals are the computer-controllers (and a Leap-controller) - superb! A great setup - also with ES-modules (besides AES)! Since it's a typical ES-setup i post two pics here.... The hybrid-instruments deserve their own topic - soon! ... enough free space for a second ES-4-ensemble! I still don't get that bipolar/unipolar (or ±5V/0-10V) thing... Since some CV-In want 0-10V - will i need a "Full Wave Rectifier" (like Pittsburgh CV-Bender or ADDAC208) to convert the voltage? How confident are you that your oscillator tracks perfectly over the 10 octave range? Yes, of course - i don't know. I tried it with DixieII and Rubicon (they are my best tracking oscillators) and i compared it (ESX-4CV) to the ES-4 0-10V tuning. It's not really wild, but... I will measure the -5/+5V Values and try it "a bit" (...can't be too much steps of the 12bit if it should even work more precisely). 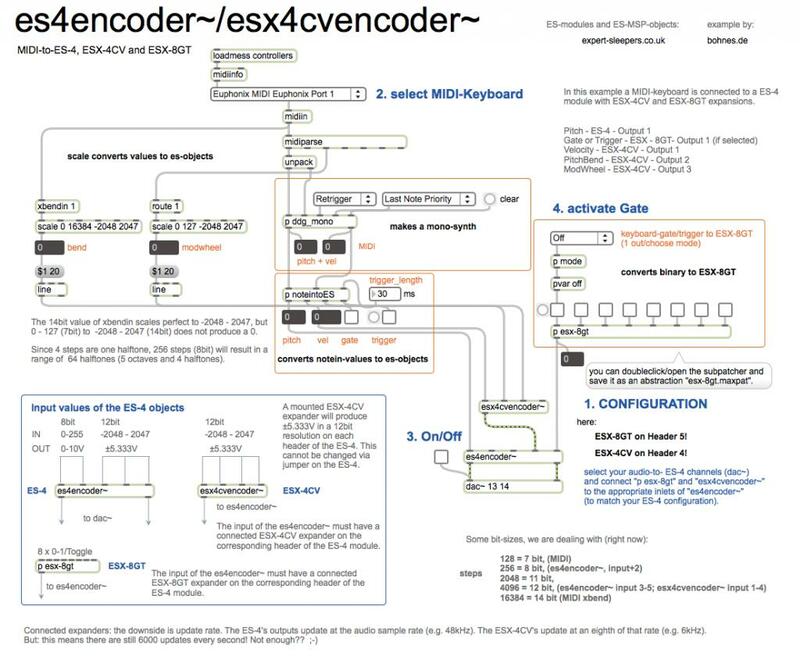 If you put the es4encoder~.maxhelp into your msp-help folder, it will open automatically when the es4encoder~ object is alt-clicked. At least a way to show my appreciation (besides buying your great modules)! Hell yeah - this rules, good work! Thank you, thank you, thank you OS & Subultresk!!! might be a dumb question, but will that work in windows? I am afraid there is no windows based max external yet. You will need those externals to run the help-patch. Yeah mckenic and CTRL - let's thank OS for this beautiful tools! Wow, 3 people - that feels already crowded! Since my maxhelp-patch ignores audio i made another example with both possibilities. Maybe it is also a bit clearer. Audio rate is faster and might be the way to "beat" the 6-12kHz of the ES-4Ã¢â‚¬Â¦ Since Audio rate is updating all the time nothing needs to be triggered. 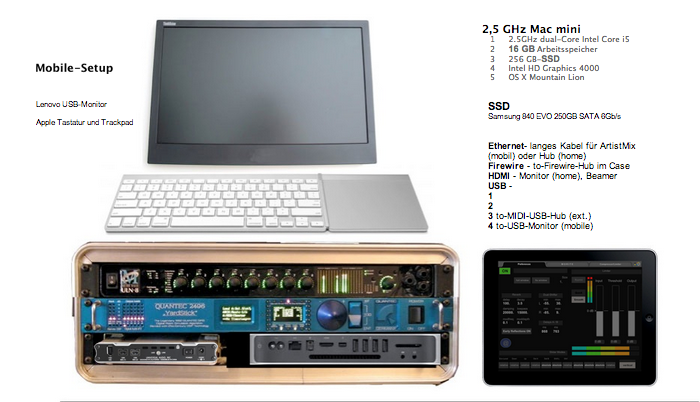 Keep in mind that 255 is a very high value in the Audio-world. I don't wanna try what happens, if this value goes to a dac~. AFAIK 1.0 is 0Vu in Audio and 5.0 should be 5V if used as CV (if the interface is able to produce that much). Since i've never tried that kind of stuff i can't say anything about that. The idea of working with hot data as CV is very interesting and pretty straight forward! Stretta made a beautiful collection called BEAP. Check that out! Inspiring, beautiful and most of it easy to understand! In Numbers this is what ESX-8GT is asking for. I made this to show the similarity to the Audio-version. Since Numbers have to been triggered, the pak object sends a new list to zl.sum every time a toggle has been changed. zlsum sums the list values. Quite boring - almost Prussian - might also need more energy than necessary. Let's get philosophical, ecological and artistic. The programming of this example could be a little harder for our brains, but computational it might be the cheapest way (since accumulation and bit-shifting are cheaper than multiplication and summing). It's a little logic story which i can enjoy today like i enjoyed music-performances in recent times. There are quite a few little things happening - some lissajous - action - a little dance that results in the correct numbers. Fun! Do you recognize the beauty? I moved set-ups and haven't got my Expert Sleepers modules up and running again yet... This thread has inspired me to get back on the horse this weekend! This thread has inspired me to get back on the horse this weekend! What do you think about a new thread about a hybrid Max/MSP-ES-Modular? 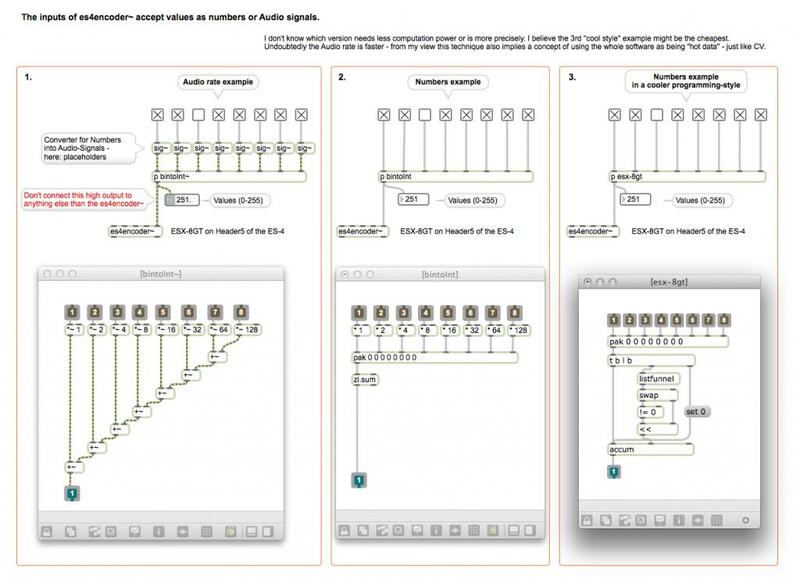 - software with audio-rates - like Stretta shows us with BEAP - any benefits with ES-modules? i think that would be interesting. i haven't really posted in this thread because i use an es3/6/7 setup so don't need the externals. Great! Nice to meet you again (now with Adat interface )! Since i use a MH-Labs LIO-8 as my "mainly line"-audio-interface, i have to work with AES-EBU. On the AES-Bus i need one stereo-ch-Send and two stereo-ch-Return for my Quantec room simulator - i don't want to miss the Quantec in my small setup. This means i've got 6ch Out and 4ch In for CV on the digital Bus. Then i used two interfaces (Mac aggregate device) with a Lightbridge ADAT interface and ES-3 (i hope you're still happy with it). The aggregate device produces too much latency and the whole system felt horrible - like just before the spinning beachball of death (mac) appears. I don't like that. Because of the decision to use only one interface i tried a quite expensive solution with a RME AES-to-Adat Box. I had clock-problems that resulted in no operation/no sound. The first Input of the RME is waiting for something that didn't happen. It seemed to be a communication problem between the RMR Steadyclock and MH-clock (which is fantastic). I sent back the RME-box. Since i can't effort another cpu/interface in acceptable quality and with Adat, i went to ES-4 and Thomas Funk's converter cables. This was the point things got better. I'm not used to work with vst~ (and i try to avoid it). Normally i create my patches in Max. Unhappily the ES-4Max-externals didn't work on my SL-Macbook. 4 weeks ago i bought a Mac Mini and now it looks like i finally can start using the modules without fighting with the system. Ok - let's start that thread. Where should i post it?? Or should we stay in the ES-lounge? the es3 is doing fine. i scared myself a bit soldering on the expander cable for the es6 but it's all working well. picked up a cheap mk1 motu traveler for the adat ports. 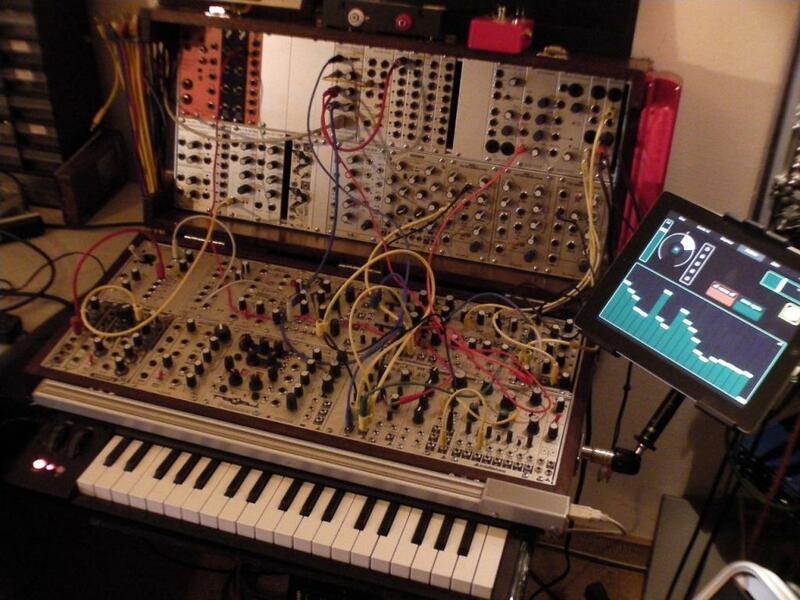 for me, using max/msp with my modular is very much linked into the ES hardware. i certainly couldn't be bothered making up special cables and only using certain dc coupled hardware. so i think this subforum is a good place for such a thread. No idea what's going on with your missing library. What was the error exactly? I'm also on OS X 10.6.8 and having exactly the same problem in Max 6.1.3. It's sad to see the new directions of Apple - the "think different" times are definitely over. OsX 10.8 is again a hard cut - a lot of software doesn't work anymore and the system feels more and more like Windows. So many little tricks you have to knowÃ¢â‚¬Â¦ the whole App-store-thing isn't exactly my taste as wellÃ¢â‚¬Â¦ (as the Demo-less iTunes software is). I had to change since my Computer died and i am really happy that most things work again for me finally - but i had to leave behind Logic8 and Bias-Peak - now using Reaper and thinking about buying Logic X. At least the best thing for me was to run the Expert Sleepers Max-objects!